Surfside has earned a stellar reputation as a family community and destination, which is supports with a wide range of family-friendly activities at its community center. This multi-purpose facility is home to the Surf-Bal-Bay Library, the Tourist Bureau and the Recreation Department. It includes an Olympic size swimming pool, a toddlers’ pool, public beach access, a snack bar, meeting rooms and an auditorium for shows, special events and receptions. The community center hosts an average of 35 public programs per week. 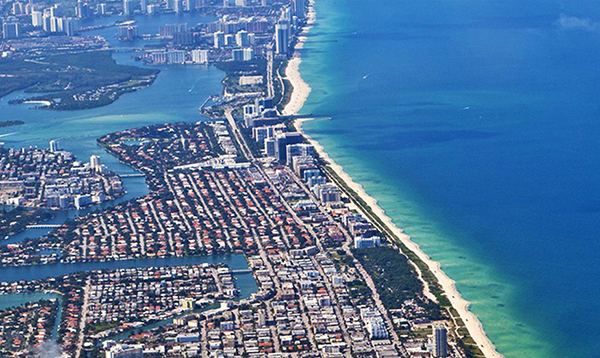 Surfside is also within short range of all of South Florida’s world-renowned attractions including the excitement of South Beach, downtown Miami, North Shore Open Space Park, area golf courses, marinas with rental boating and fishing expeditions, and to all area seaports and airports. Surfside’s most recent addition, the Four Seasons Residences at The Surf Club, adds an incredible 5 star luxury element to this quaint beachside community. Designed by Pritzker Prize–winning architect Richard Meier, the luxurious resort is intimately scaled at just 12 stories, featuring two residential towers and a Four Seasons hotel rising above the historical Surf Club, designed by Russell Pancoast in 1930. Originally founded in 1930 as The Surf Club, in its heyday, it was the retreat of the rich and famous. The Surf Club opened during the Great Depression by tire tycoon Harvey Firestone. Through the years as the club continued to gain notoriety, it hosted the likes of Gary Cooper, Noel Coward, Douglas Fairbanks Jr., The Rat Pack, Elizabeth Taylor as well as Winston Churchill and Douglas MacArthur. The Duke and Duchess of Windsor and Tennesse Williams were regular guests. There was liquor on the beach during prohibition, kayaks in the swimming pool, black tie boxing dinners and lavish themed galas, one time with elephants, another with 300 tables made entirely of ice. This was the Gatsby lifestyle to be sure. And now finally after all these years, glamour is finally returning to Miami thanks to architect Richard Meier, Miami based Kobi Karp and French designer Joseph Dirand. This is one of the most luxurious destinations in all of Florida, and also one of the most special.